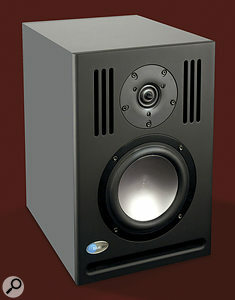 Blue Sky have earned a strong reputation for their sealed‑cabinet speakers, but in their latest model they've opted for a ported design. How do the newcomers compare with their infinite‑baffle cousins? The latest addition to Blue Sky's catalogue is the new Sat 6.5 EXR, a two‑way, active, nearfield speaker. Its 6.5‑inch, mica‑filled polypropylene woofer has the same smooth, domeless profile as the company's other speakers, and the one‑inch ring‑radiator tweeter will also be a familiar sight to Blue Sky aficionados. As on the designers' flagship models, a series of slots to either side of the tweeter help to absorb HF diffractions, in order to widen the horizontal dimensions of the stereo sweet-spot and reduce side‑wall reflections. A separate 100W amplifier is built in for each driver. The big new departure for this product for Blue Sky is the porting aperture, which makes the EXR the only reflex‑loaded system in the line, all the others being closed‑box designs. The company have previously eschewed porting as a design choice, on the basis that port resonance compromises speed and accuracy in the time domain. They've always preferred to incorporate a subwoofer as an integral part of their setups to increase low‑frequency reach instead. However, there have apparently been demands from existing users for a compact, wide‑range system without a subwoofer, for use in more spatially restricted environments, hence the recourse to porting to create a self‑contained two‑speaker configuration. Two electronically balanced XLR input sockets adorn the cabinet's rear panel, one of which provides the speaker's full 40Hz-20kHz frequency response (±3dB), the other being high‑pass filtered at 80Hz (12dB/octave), should you wish to use the speaker with a subwoofer (such as Blue Sky's own Sub 12) to further expand the frequency bandwidth at the low end. 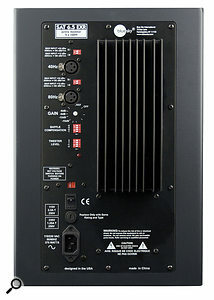 Level adjustment is handled by a combination of switched -10dB input pad and variable (from 0dB to -12dB) gain trimmer, while 10 little DIP switches offer two frequency‑tailoring functions: Baffle Compensation reduces the system's low‑frequency output by up to 11dB, to deal with boundary effects when siting the speaker near a boundary wall, and there's also ±3dB of tweeter level adjustment, so that you can massage the high‑end tonality to taste. Two inputs are provided, for either full‑range operation or for use with a sub, and a row of DIP switches allows the user to adjust the relative levels of low and high frequencies. The thing that struck me immediately when reviewing these monitors was a strong impression of openness and detail. This is partly on account of a somewhat 'smiley' mid‑scooped tonality with a definite top‑octave emphasis — indeed, I quickly found myself flipping a decibel off the tweeter level using the DIP switches to suit my own preferences in this respect. However, once I'd begun to acclimatise to the speakers' unique tonal character (a necessary process with any new speaker, to be fair), it became obvious that the impression of clarity was much more than just a skin‑deep side‑effect of the airy tonal balance. I found myself noticing elements in my reference tracks that had faded in the memory, which is always a good sign, and both stereo positioning and reverb signatures came through particularly precisely, contributing to an engaging sense of mix depth and separation that reminded me a great deal of my experiences with the company's considerably larger and costlier Sat 8. Subtle differences between my various reference tracks came through well, too, providing a great deal of insight during mix‑referencing and mastering tasks. There was a convincing realism to challenging acoustic material such as speech and coincident‑pair stereo recordings — the aforementioned high‑frequency timbral crispness notwithstanding. So how does the bass fare? The port here resonates at around 42Hz, and although it exhibits a small amount of fluttering turbulence noise around that frequency, presumably on account of the narrow, slot‑shaped aperture, it otherwise seemed very well‑behaved, providing commendably tight low‑end presentation down to the 40Hz response extreme. The bottom octave of the spectrum was inevitably pretty scarce, by nature of the resonant system's swift low‑frequency roll‑off, but how much this matters to you will be a question of how important this region is to the genres that interest you. If this product is at the top of your price range and those subs are vital to your music, you'll just have to settle for less revealing satellites so that you can afford an accompanying subwoofer. These are speakers that will let you crank up the volume about as far as I would ever want to do in a nearfield scenario, and in that context I was happy that the sound was hanging together very respectably. If you start trying to wobble the furniture, though, it's the low end of the sound that begins to show the strain first, as the port struggles to accommodate the stiff breeze — another reason for dubsteppers to perhaps pause for thought. However, if flirting with the Richter scale is less relevant to you than maximum swiftness and precision in the 40Hz‑20kHz range, I think the Sat 6.5 EXR has to be considered extremely good value for money, and the fast, tuneful quality of the low‑end reproduction provides a great practical example of well‑restrained speaker porting in action. You don't have to look too far to find lots of two‑way, ported nearfields competing in this price bracket. If you want to narrow down the field a bit, bear in mind Paul White's recent tips of the Adam P11A and Focal CMS65. Hugh Robjohns has also recently recommended the Equator Audio Q8, albeit with some reservations about the forwardness of the mid-range compared with other similarly priced shortlist candidates of his, such as JBL's LSR4328P and K+H's O100. If you need more of a handle on the bottom octave of your mix than these kinds of two‑way systems can provide, AVI's Neutron Five and Blue Sky's own Pro Desk both offer well‑reviewed 2.1 alternatives. Excellent space and depth presentation. Allows extremely critical tonal judgements. Ample clean level for nearfield applications. 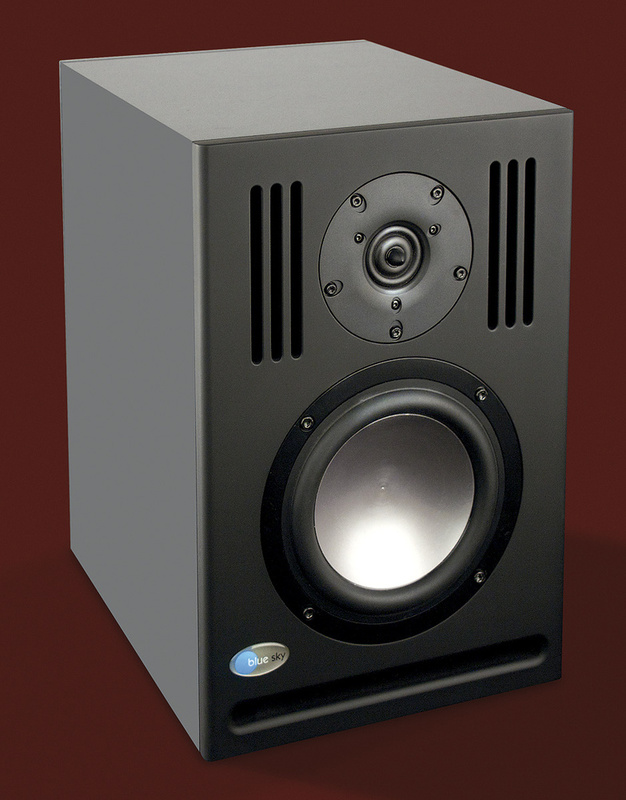 As with most small ported nearfield monitors, the 20‑40Hz bottom octave pretty much drops off the radar. A commendable ported‑speaker design from well‑known purveyors of all things closed‑box. These deserve a place on the shortlist of anyone looking for nearfields in this price range.